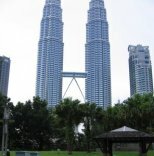 Berjaya Times Square Kuala Lumpur is located at Jalan Imbi, one of the most busy shopping area in the city. You will not miss this place as its brown colour building stands up from among the rest of the buildings in the vicinity. 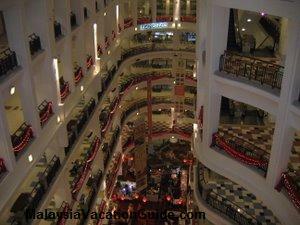 It is Malaysia's biggest shopping mall with over 3.45 million square feet that houses more than 1,000 retail lots. The spacious shopping area in Berjaya Times Square. There are 700 specialty retail shops, 1,200 luxury service suites and 45 food outlets that give you plenty of choice to choose from. An estimated 3 million visitors visited this mall every month. Being one of the biggest mall means that you will be able to find top brands such as Swatch, Hush Puppies, The Body Shop, Tag Heuer, Dior, DeGems, Bossini and the list goes on. It has the biggest Borders bookstore in town where many latest books and titles can be found here. Metrojaya Departmental Store and Cold Storage Supermarket are also located here. The bowling centre called Superbowl is equipped with the latest facilities for bowlers to spend their day here. 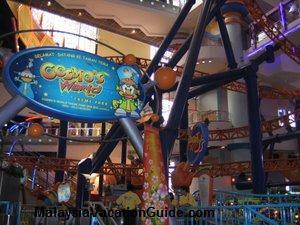 If you and your children need some time off for entertainment, try the Cosmo's World Theme Park. 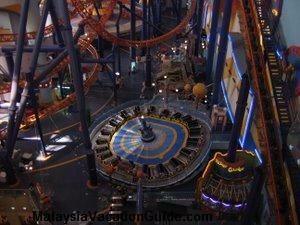 It is the largest indoor theme park in Malaysia. There is one area for the adult and one area for children. If you are still young at heart, try the roller coaster ride or the 30 meter "Spinning Orbit". 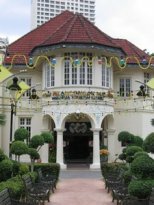 The children will enjoy the children's rides as well as the indoor playground that is available inside the theme park. The entrance to the theme park. The rides in the theme park. 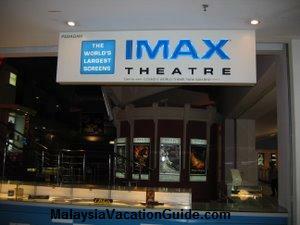 If you need to unwind after a long day's shopping, try the IMAX 2D & 3D Theatre. It is Malaysia's first and you will experience the big screen images with clarity. The giant rectangular screens are up to 7 stories high. There is also Golden Screen Cinemas which has 9 screen cineplex that screens the latest blockbuster movies for your leisure. The IMAX 2D & 3D Theatres. If you come as a family, enquire for the family package. 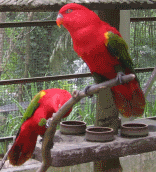 Take the Kuala Lumpur Monorail to Imbi Station. Imbi Station is located in front of the building. If you are using the LRT, take the Sri Petaling Line LRT to Hang Tuah station and you will reach the mall after a 5 minutes walk. See more of KL Transportation here. 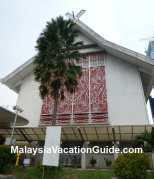 Address: No 1, Jalan Imbi, 5100 Kuala Lumpur, Malaysia.